Activity trackers and apps are all the rage these days — especially as better weather encourages more outdoor exercise — but smart scales often fly under the radar. Devices like the Withings Body smart scale or the Withings Body Cardio not only measure your weight, but also track metrics like water weight, body fat, and muscle mass, as well as automatically upload vital statistics to your smartphone. We featured the Withings Body in our smart scale roundup, and it remains a favorite. An updated version of the popular Withings WS-50, the Body smart scale analyzes your weight, BMI, lean mass, body fat percentage, water weight, and even bone mass. The scale measures and stores data for up to eight people, and automatically identifies users based on their weight. The bright LCD display also shows your last eight weigh-ins for an at-a-glance progress report. The Withings Body Cardio features the same functionality as its sibling, along with the ability to read your heart rate and pulse wave velocity — a measure of arterial stiffness and blood pressure — for a fuller picture of your cardiovascular health. Both Withings Body smart scales sync with your phone via Wi-Fi or Bluetooth, and upload user metrics to the Health Mate app for long-term progress reports, goal-setting, and nutrition tracking. 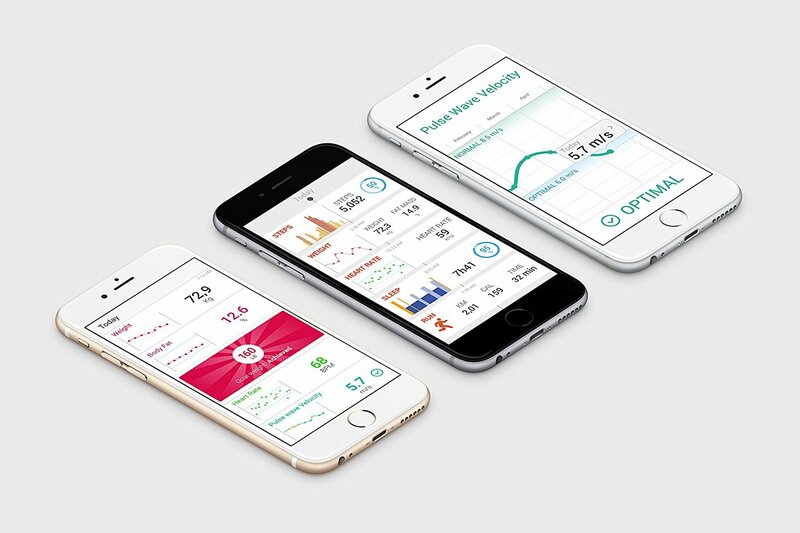 Health Mate can even connect with popular apps like Google Fit and MyFitnessPal. For a limited time, Amazon is offering these smart scales at a 30 percent discount with an online coupon, bringing the Withings Body Cardio down to $112 from $160 and the Withings Body smart scale down to just $69 from its $99 price tag. Similar units from makers like Fitbit and Garmin cost up to $150. Simply “clip” the coupon on the product page, add it to your cart, and receive the discounted price at checkout.